My parents always asked me this. I learned later that this was about creating a vision and expectation of the future. 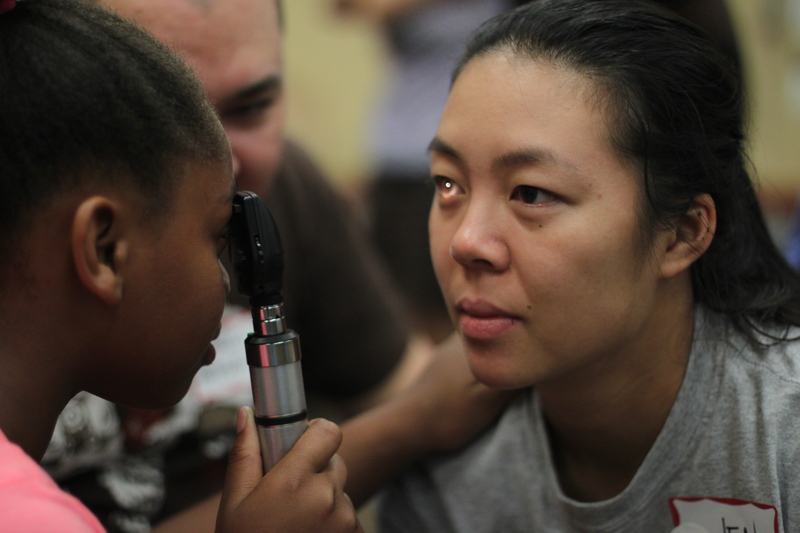 Many answer doctor or nurse and yet in the medical school and the residency applications I rarely saw any kids from the neighborhood. My co-worker Shailey Prasad, MD, MPH, and I knew this was a complex problem not to be solved overnight. We decided with the support of our department chair, Mac Baird, MD, MS, to build The Ladder, a structured health care pipeline mentorship program that incorporates hands-on science fun with values and character development designed to facilitate the development of lifelong learners and leaders interested in health care careers. The Ladder starts early, 4th grade and up, to create a community of scholars who help each other get to the next level. 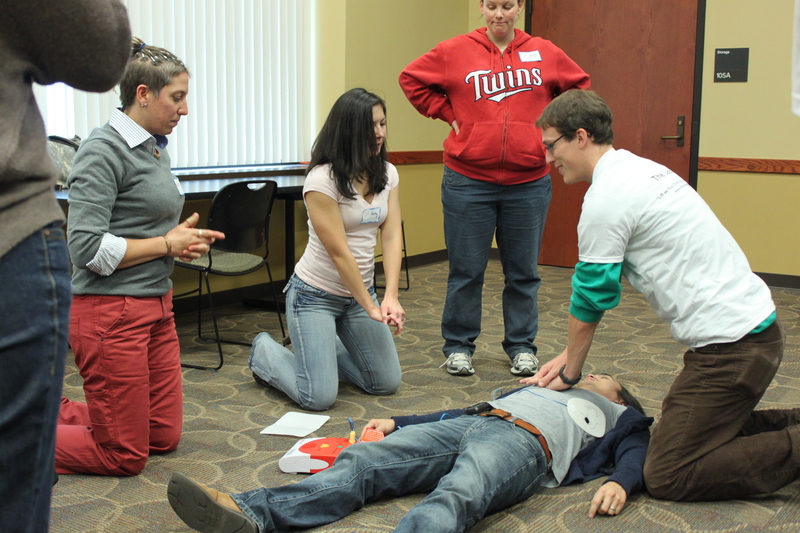 The high school students mentor middle school students, college students mentor high schoolers, medical and dental students mentor college students, and residents, practicing physicians, and other health professionals mentor everyone and each other. Who knew a 7th grader could recognize an AC separation on an x-ray or that 10th graders know how to run an AED or use an otoscope? More than you realize if you are talking about members of The Ladder. STFM has been an integral part of the development and growth of The Ladder, which was the product of my fellowship project during the 2012-2013 Emerging Leaders Fellowship. The fellowship developed the skills I needed to get the group started and the understanding to help The Ladder grow. The biggest lesson I learned was leaders build leaders, and that is what The Ladder is about at every level. The University of Minnesota Department of Family and Community Medicine has invested in The Ladder as a focus of both mission and mentorship. The Ladder is an attractor of diverse and underserved students and faculty. 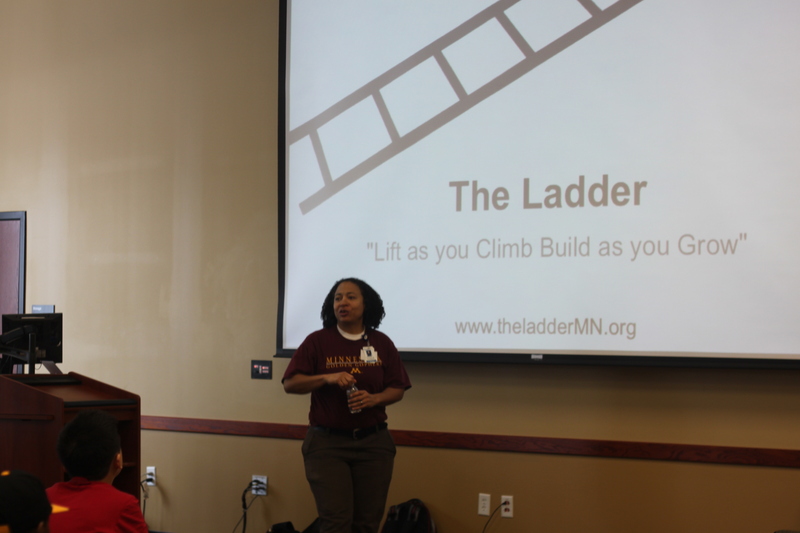 Members report that working with The Ladder is an opportunity to serve a community in need and find personal support for their individual growth, two very important factors in attracting and retaining both diverse and socially conscious students, residents, and faculty. I am currently submitting a joint STFM Foundation Group Project Fund grant application called “Pipeline Is Policy,” with the Group on Health Policy and Access, the Group on Minority and Multicultural Health, and the Group on Latino Faculty to develop a web-based toolkit. The toolkit will provide a structured approach to developing and growing additional chapters of The Ladder through other interested departments in other neighborhoods and communities. Will there be one near you, and will you be a mentor in The Ladder? I hope so! In the meanwhile, keep up with us and ask me questions on Facebook at www.facebook.com/TheLadder, follow us on Twitter @TheLadderMN, or read our blog at http://theladdermn.org/. This entry was posted in Education, Family Medicine Stories, Leadership, Public Health and tagged careers, college students, Emerging Leaders, Family Medicine, grant, health, health care, Mentor, mentoring, Minnesota, renee crichlow, STFM Foundation, The Ladder, University of Minnesota. Bookmark the permalink. Renee, this is truely amazing! Thanks for doing what I always wanted to do, but never got around to it. I want to know how!